I just came back from Korea (and the very well attended Gstar in Busan) so I’m trying to catch up on the monthly check on media mentions of video games. Let’s have a look at October and November. 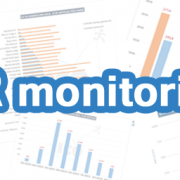 You can find more about the monitoring tool in the previous blog post. 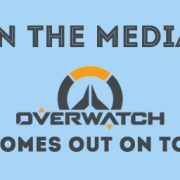 With more important releases coming in this month, there is a significant growth in the coverage for both PlayStation and Xbox articles. Similar to September, Nintendo’s 3DS gets significant coverage thanks to Smash Bros. The Wii U version of the game starting to impact the coverage that platform is getting too. The coverage for Smash Bros across its 3DS version (released that month) and its Wii U version (released in November) is taking the game to the lead title of this month’s Top 15 games. 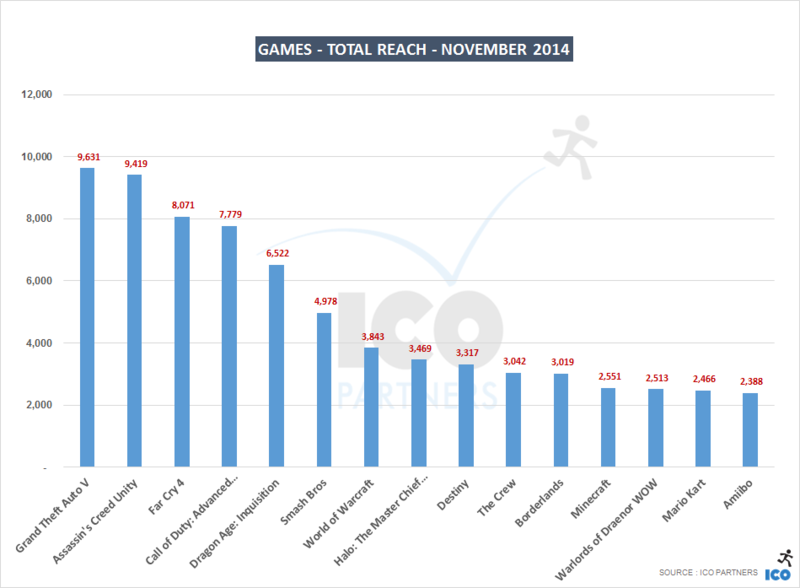 Also impressive is the number of games with more than 3,000 articles mentioning them during the month. In the previous month, we saw that we rarely have more than five games passing that mark. 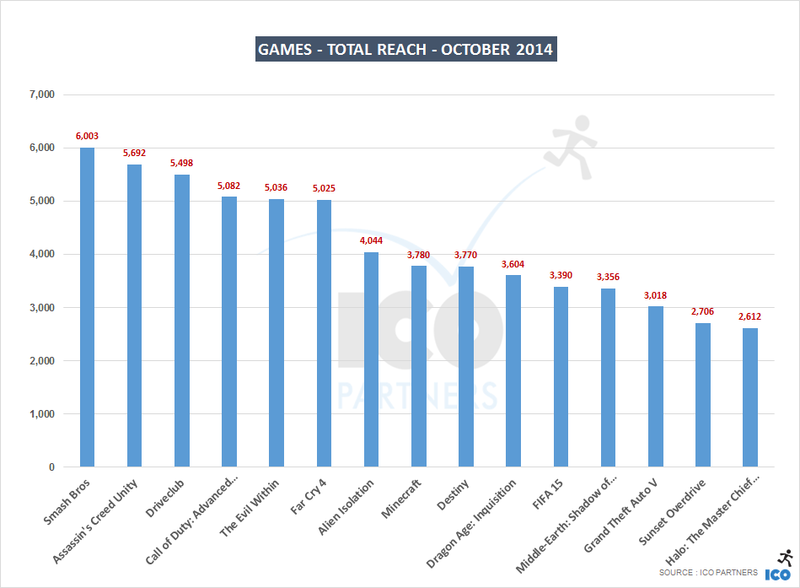 In October, we have 13 out of the top 15 games breaking through 3,000. I will get back to that later, but it is significant. Aside from this, most of the top games are to be expected. They are games strongly in the present, most of them released or about to be released. November is definitely proving once again it is the month of AAA games – doubling up on the notion that non-AAA games should probably avoid that period if they can. Overall, fewer articles on the top consoles, with a notably strong presence for the PS4 that sees almost as many articles in November as in October. The Wii U’s strong performance is once again due to Super Smash Bros, released on the platform that month. This graph is the scary one. 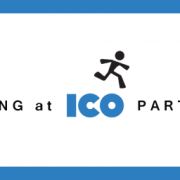 I run the data with a lot of copy pasta and generally don’t pay attention to them until I need to write down the blog post. Making this one made me do a double take, and go back to the data source to make sure I didn’t make a mistake somewhere. But before anything, I need to point out that I intentionally left World of Warcraft twice in the table. Once for the game, and once for the specific mentions of the expansion. The last time there was an MMO in the ranking was for the launch of the Elder’s Scrolls Online with about 2,000 articles mentioning it. That’s quite a good comparison point to consider. And just for the reference, the 16th game (that should be there if I had removed Walrods of Dreanor) would be FIFA 15. As I don’t like football, I don’t even feel bad about it. 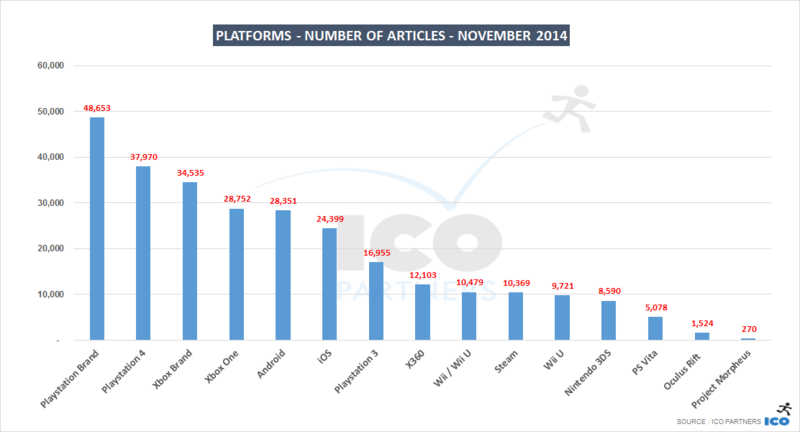 What we have in November is a massive concentration of articles on the top 15 games,way more than usual. 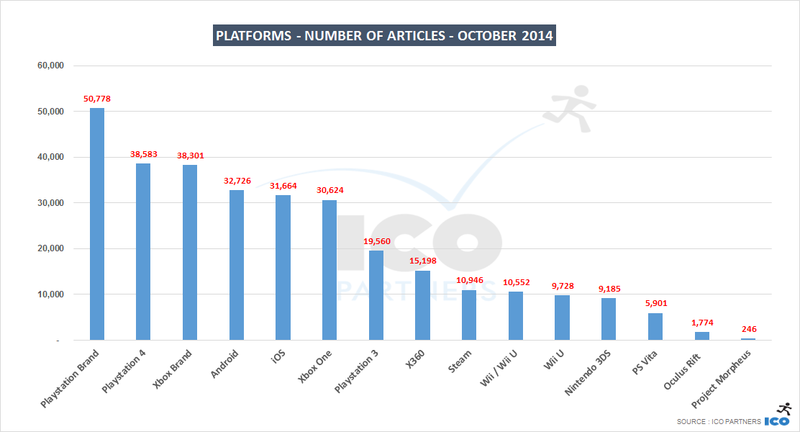 On average, we have about 42k to 45k articles covering the top 15 games. In October, that figure leaps to 62k. In November, we are talking about 73k articles – almost 75% more articles than average. You might be wondering if that results from more articles on the websites though. 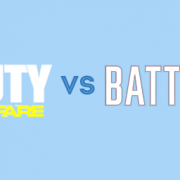 Well, yes and no… I would need to spend more time digging a bit deeper there, but what we see is that, video game websites have a very steady output, they generally don’t deviate much from it. Kotaku for instance publishes about 1,000 articles per month, on any given month. 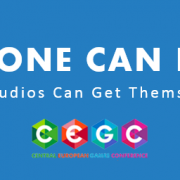 Eurogamer.net publishes about 400 articles per month, during any month. That means that the concentration on articles for those heavy hitters is done at the detriment of articles written for other (probably more diverse) games. 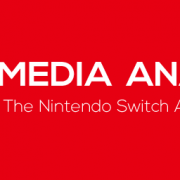 However, and this is where I would definitely need to look at the data more in depth, there are also more articles on video games, especially those heavy hitters, in the general interest media. It is not to the extend that it explains the massive extra coverage you see in these rankings, and the effect described above is definitely at play, but the extent of it is not fully visible in these graphs. I am very curious to see how the month of December is going to behave. I expect it to be more like a “normal” month, with the particularity that it is the one month where the average output of the websites actually go down, mostly due to the end of the year holidays.